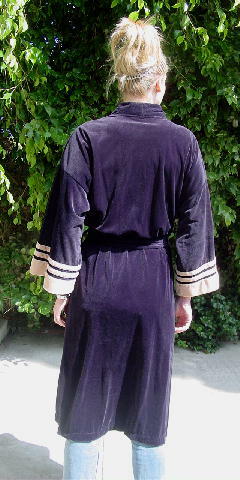 This vintage soft black velour robe is by Christian Dior Robe De Chambre Paris New York. The sleeves have accents in a bone-tan. The left lapel has an embroidered Dior in a champagne color. 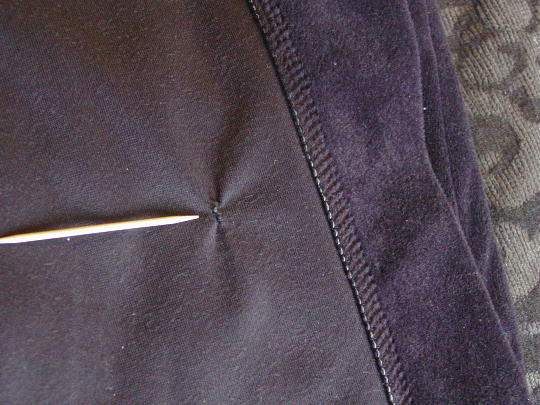 There are two open front pockets and a fabric matching 79" by 2" tie belt and loops. The tag says one size. 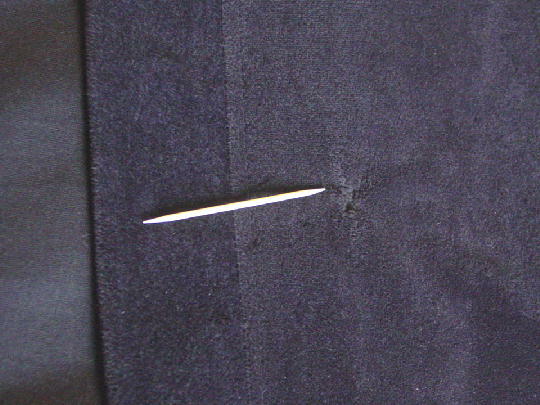 The left side (12" up from the bottom and 3" inward from the front edge) has a small area (1/8" long by 1/16" wide) where the velour is missing and a hole or thread pull has been repaired, which causes the fabric to pull a little bit. It is covered when the belt is tied and the right side is crossed over. 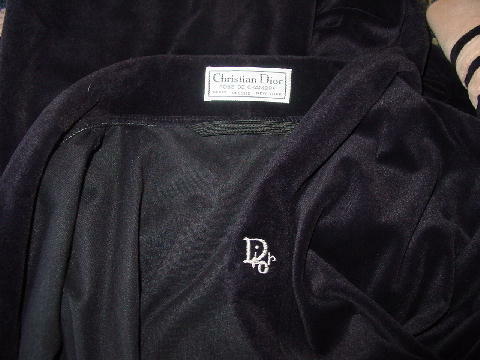 If the right side of the robe is crossed over a lot, the Dior logo is covered. The robe can be made shorter. armpit to armpit 26 1/2"